We all know that eating a healthy, balanced diet is good for us, but the messages about what that means can sometimes be unclear. 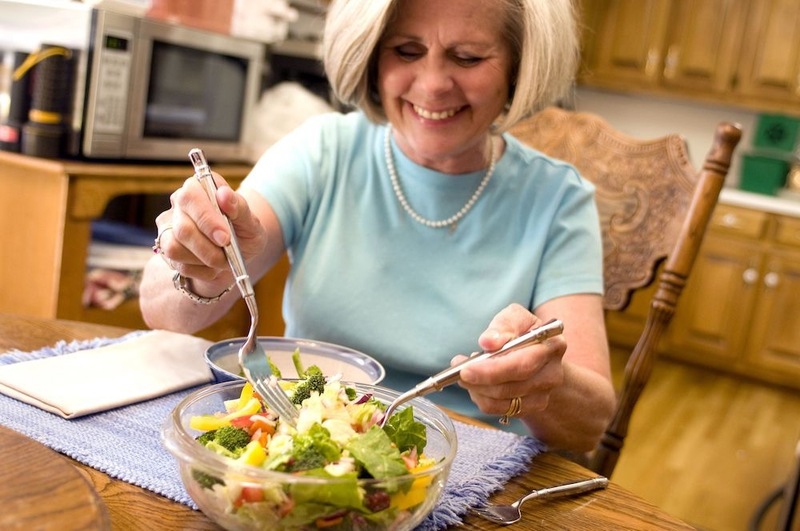 Although many people seem to focus on losing weight, it is important to remember that the lack of proper nutrition presents a higher risk for older people. Meanwhile, if you rely on frozen meals or heat and serve offerings from the grocery store, you'll need to be aware of what's in them and what nutritional value they have. Frozen and canned foods generally preserve the nutritional value of foods very well. However, many convenience foods from the supermarket have high levels of salt, sugar and fat, so make sure you check the labels before buying. Whether made from scratch or purchased from the store, the food you put in your body is the fuel that will keep you going. As such, a well-balanced diet is essential to good health and wellbeing. A balanced diet is ideally freshly prepared. At its core are foods that are high in vitamins, minerals and other nutrients but low in unnecessary fats and sugars. Fruits make quick and tasty snacks, so they can be easily incorporated into your diet. Choose fruits that are in season in your area; they are fresher and provide the most nutrients. The bulk of your diet should come from plant-based foods, and eating plenty of vegetables is vital. Vegetables are key sources of many essential vitamins and minerals. And dark, leafy greens contain the most nutrition. If you can, eat vegetables at every meal. Bread, rice, pasta, cereals and potatoes are an important part of everyone's diet. To get the most nutrients from these foods, you will need to ensure that they are whole grain and not processed. Lean, low fat meat, poultry and fish are the main sources of protein for most people. However, if you're a vegetarian, do not fret. There are plenty of other sources of protein. Nuts, beans and pulses (such as peas, lentils, almonds, sunflower seeds and walnuts), as well as tofu, tempeh and other soy-based products are all good sources of protein. Dairy products are good sources of protein and they also provide calcium, vitamin D, and other essential nutrients. However, dairy products can also be high in fat, so it is best to choose reduced fat or fat-free cheeses, milk and yoghurt. Oils—even the good ones like olive oil—should be used sparingly. For cooking, you can use reduced fat oil sprays or non-stick cooking pans to cut back on the amount of fat in your diet. Opt for low-fat versions of products that contain oil, such as salad dressing and mayonnaise. You should aim to drink two litres of water every day to avoid getting dehydrated. That's around eight eight-ounce glasses if you prefer imperial measures. You can also drink other non-alcoholic drinks as a substitute for water, but it's important to remember that even fruit drinks contain sugar. If you're a tea or coffee drinker, these aren't appropriate substitutes for water. The caffeine in these drinks acts as a diuretic, causing your bladder to be overactive. If the weather is hot or you're doing more than your normal amount of physical activity, then you'll need to increase the amount of water you drink accordingly. For more information about eating a healthy and balanced diet, we've rounded up a few great resources.